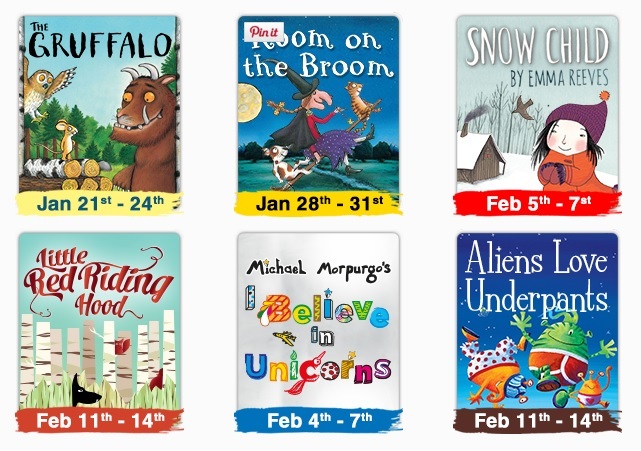 We first got to know about KidsFest when DinoBoy was a toddler, at that time we were into Julia Donaldson's books and when I saw that Room on the Broom was one of the show ABA Productions was producing that year I bought the tickets without hesitation. We never regret going for the show and till this day we still remember vividly some of the scenes in the play. We also caught The Gruffalo and The Gruffalo's Child, The Tiger who came for Tea in subsequent years. Here for the first time in Singapore are I Believe in Unicorns and Aliens Love Underpants. The former takes you into an imagined world where mystical unicorns exist in the most unlikely of places – an enchanting library with books that hold more than stories within their pages. Or journey into space and find out why aliens have such an unexplainable fancy for the unmentionables. With the plot revolving around the knickers, it is sure to have you snickering. 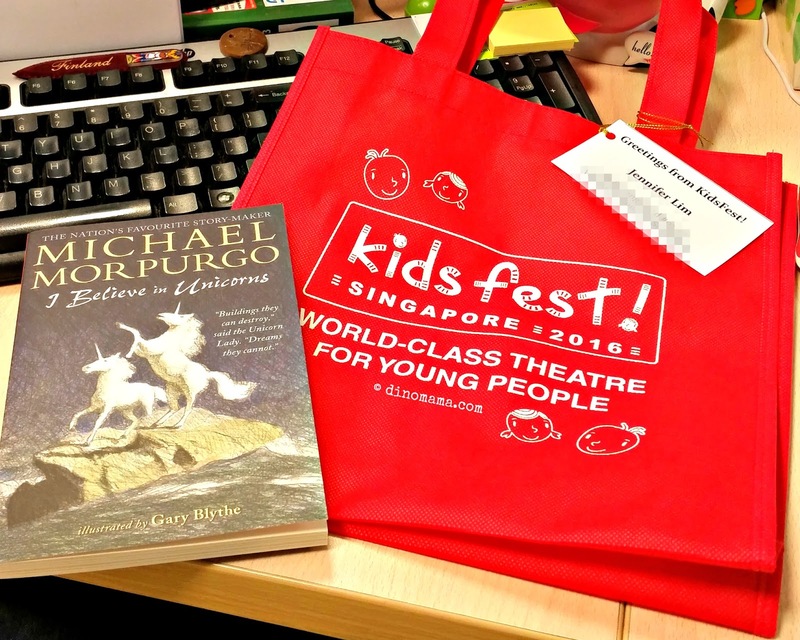 KidsFest has invited us to watch I Believe in Unicorns plus they were so nice to send us a copy of the book too! I have not show the book to DinoBoy but I am sure he will be over the moon when he sees it. "As we mark our fifth anniversary, we celebrate how the festival has grown to become a cultural highlight that families look forward to every year. KidsFest is truly a unique opportunity for a shared family experience and parents will take great delight in the spontaneous interaction between their child and the actors that only a theatre experience can afford,” said Mr Matthew Gregory, Founder of KidsFest and Executive Producer of ABA Productions. Don't hesitate, quickly head off to SISTIC to purchase your tickets now! For more information about the shows, do visit their official website KidsFest. Disclaimer : We received a copy of Michael Morpurgo's I Believe in Unicorns and tickets to watch the show from KidsFest team for the purpose of this post. All opinions are 100% ours, ll photos in this post belongs to DinoFamily unless otherwise stated, please do not take it for personal use without our permission.